Hardcover, 10 x 11.75 in. / 656 pgs / 680 color. 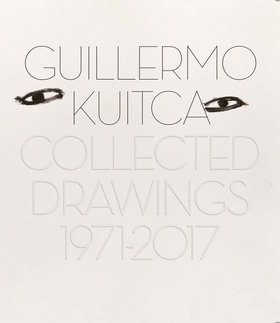 This extensive volume surveys the drawings of Argentinian artist Guillermo Kuitca (born 1961) from 1971 to 2017. 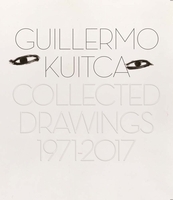 Gathering together for the first time more than 650 works on paper selected from a body of more than 3,000 produced over the course of 40 years, the book lies somewhere between a catalogue raisonné and an artist’s book. 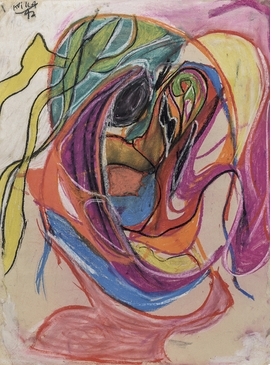 While not exhaustive, the book, in its pacing, is somewhat chronological; the works selected suggest the successive aesthetic, visual, and iconographic codes, worlds and concerns the artist has engaged in his puzzling artistic production. Realized with watercolor, ink, colored pencils, pastel, acrylic, chalk and ink-jet prints, Kuitca’s drawings—black and white or colored—display his manifold thematic obsessions: faces and hands, portraits and intimate scenes, insects and beds, and architectural and topographic renderings. Introduction by Brett Littman. Text by Daniel Kehlmann. FORMAT: Hbk, 10 x 11.75 in. / 656 pgs / 680 color.